Our repair and installation technicians are able to offer such excellent service because they work with the highest quality of products. Whether you invest in something as large as a new garage door or as small as new batteries for your opener, we guarantee that it will work as expected for years to come. At Interstate Garage Doors, service is everything. We are constantly striving to provide you with even more options for your garage door and better service than we already do. Nobody seems to have enough time these days, our customers included. Interstate Garage Doors respects that you don’t have time to call multiple companies in Chicago, IL or to wait hours for someone to come to fix your garage door. When we say that we’re on our way, that is exactly what we mean. If something unexpected should delay us, such as a traffic accident or poor weather conditions, we always let you know that right away. The service technicians at Interstate Garage Doors are so experienced and professional that they make their work look easy. We assure you that it’s not. They have simply perfected a method of efficiency that allows them to resolve your problem in the fastest manner possible. Before we get to work, we explain what the problem is and how we are going to fix it. We want to ensure that you feel comfortable with what we are doing. The garage is the primary entrance point for many homes and businesses in Chicago, IL community. When it won’t open or is too badly damaged to navigate, you may not be able to access the property. Interstate Garage Doors doesn’t want to see you locked out for even a minute longer than necessary. That is a frustrating and frightening situation to be in for anyone. If this happens to you, just give us a call and we will be there to get you back inside. 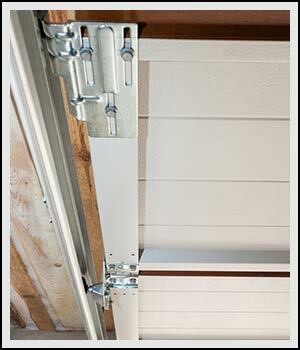 A garage door inspection is an excellent investment for two important reasons. First, it keeps you and your family or employees as safe as possible. Secondly, it allows you to save money on major repairs later by taking care of small issues now. Our technicians look for such problems as worn parts and broken springs that could cause sudden garage door failure in the future. We recommend that you schedule an inspection at least once a year. Our technicians are among the most skilled in the industry. They all have several years of experience and have completed a degree or career training program complete with an apprenticeship. Once hired by Interstate Garage Doors, these workers use their free time to invest in additional education to ensure your safety and to offer you the best products and services currently available. We are proud to have them on our team. 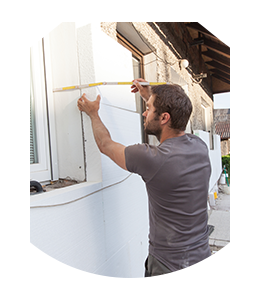 Each member of our repair and installation staff can work with any garage door problem, whether it is emergency or routine. They also have the skills and experience to work with all brands of garage doors. Rather than trying to fix your own garage door, relax and know that you can depend on the expertise of the professional journeymen at Interstate Garage Doors. They enjoy what they do and it shows. If you’re not sure if the garage door repairs you need are urgent or not, go ahead and call us anyway. We will dispatch someone to your property immediately regardless. Although the issue might not be an immediate emergency, it could quickly become one if you neglect it. We understand that you’re not a garage door expert and may not know exactly what the problem is. Just describe it the best you can and we will do the troubleshooting. Since each service call is so unique, we come prepared with a wide variety of parts for all makes and models of garage doors. It’s important to us that we complete all work in one appointment whenever possible. We realize that your time is valuable and that you want to get the work done without having to schedule multiple appointments. If you’re considering adding a specific project to your garage door security, such as a keyless entry system, we can do that as well.